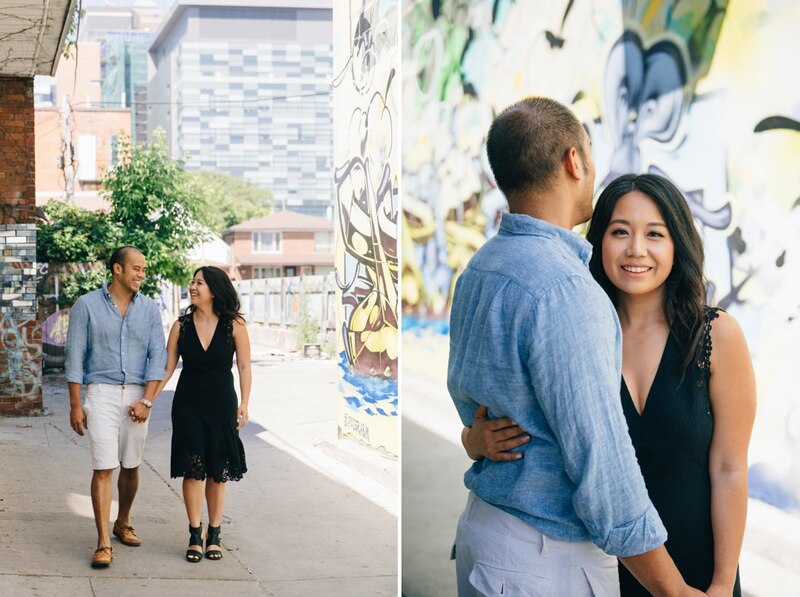 Cecile & Ian are getting married THIS WEEKEND!!! 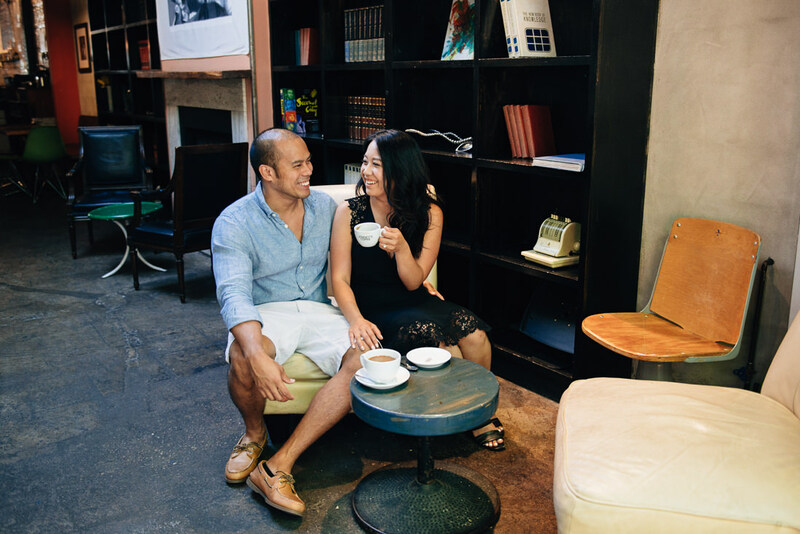 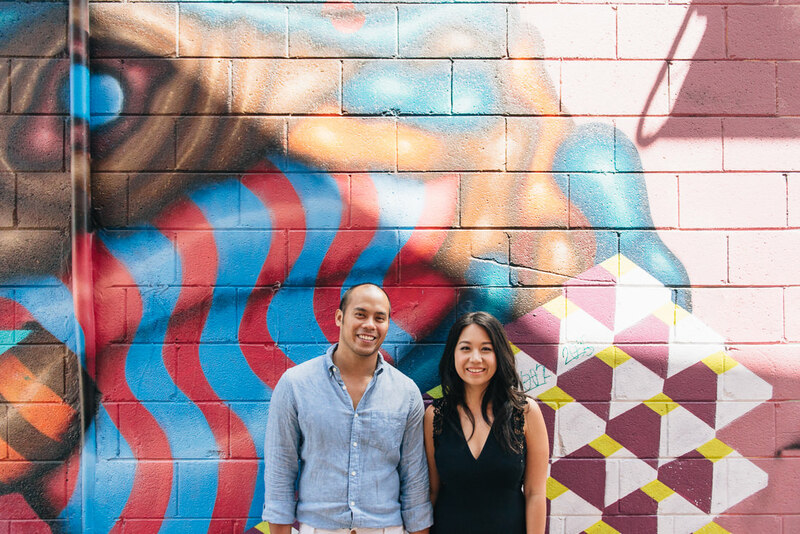 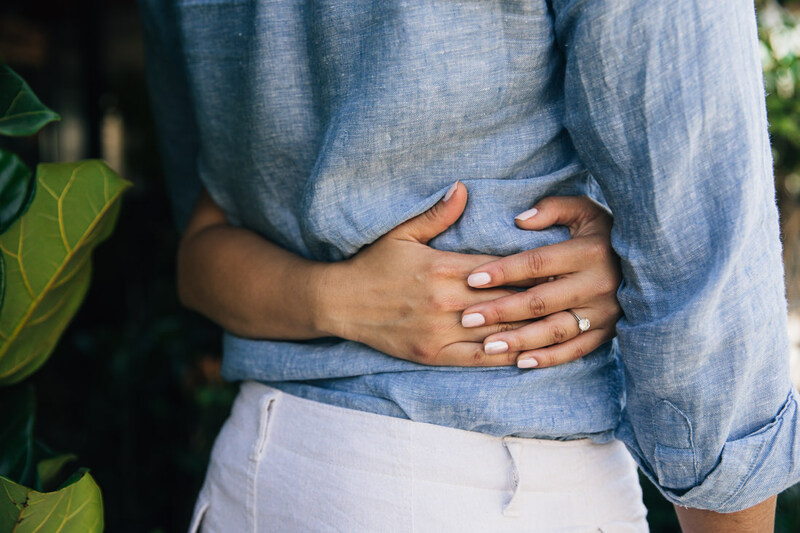 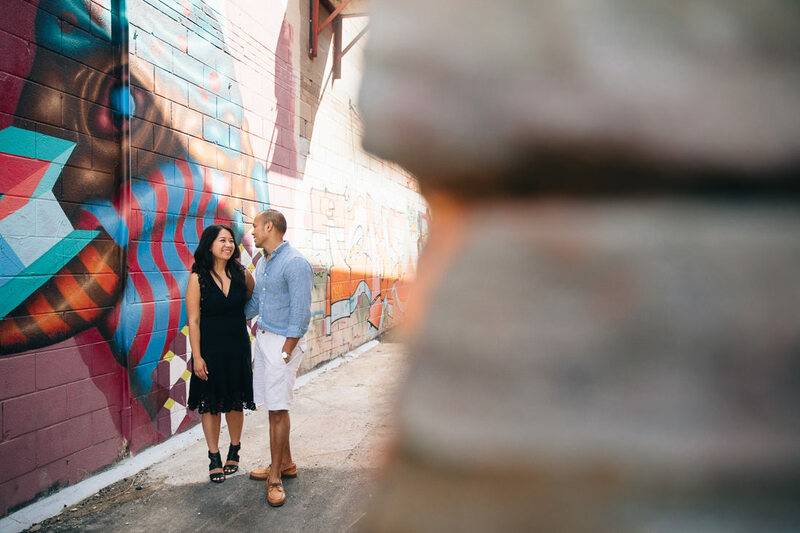 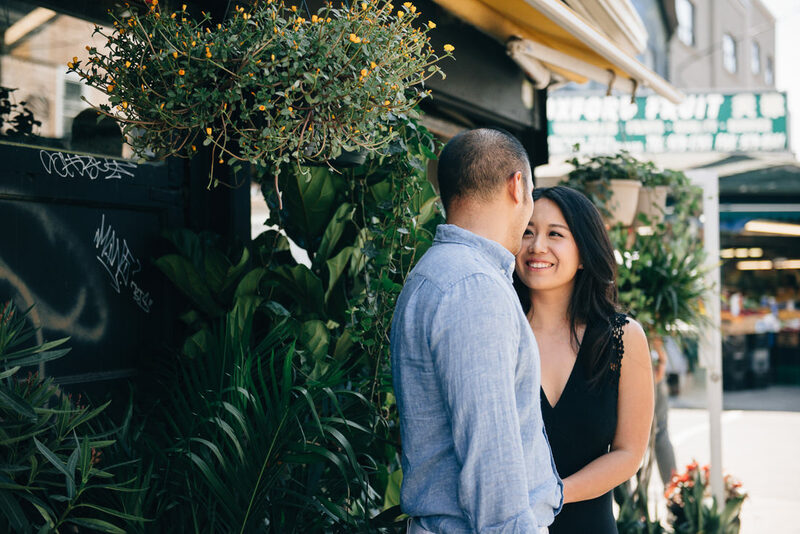 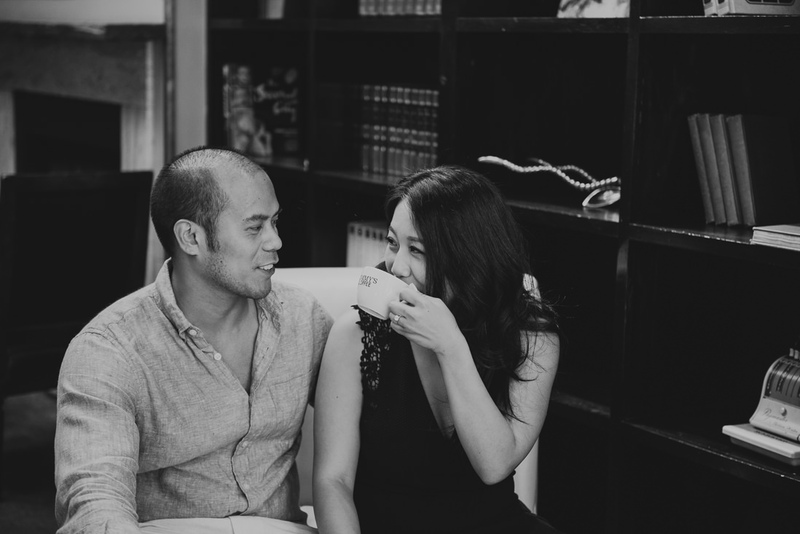 We’re super excited to finally share some photos from their Kensington Market engagement session! 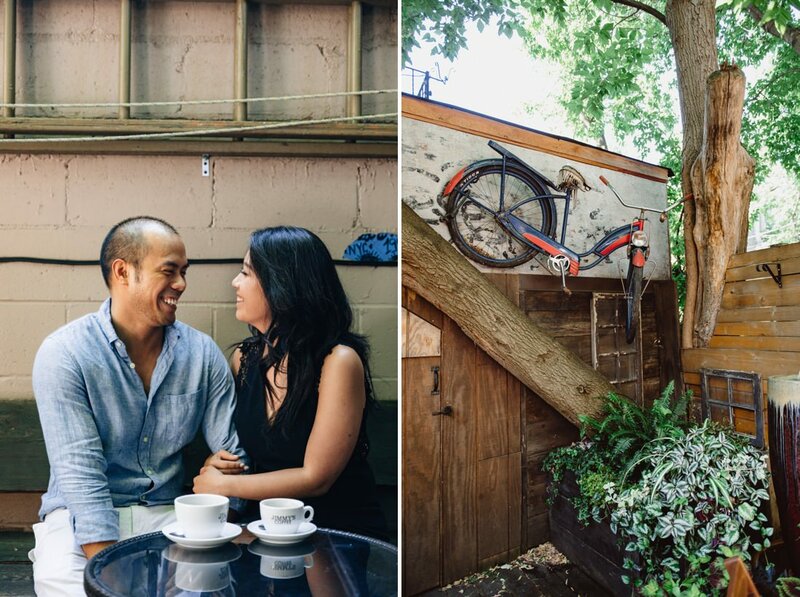 Kensington Market has evolved a lot over the past few years. 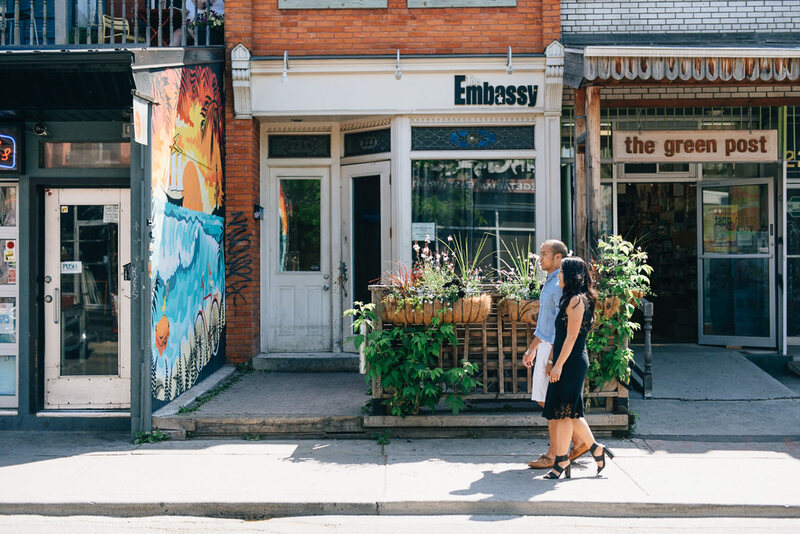 Back when Phoebe used to live in the area, Kensington Market was mostly made up of fruit markets and eclectic shops. 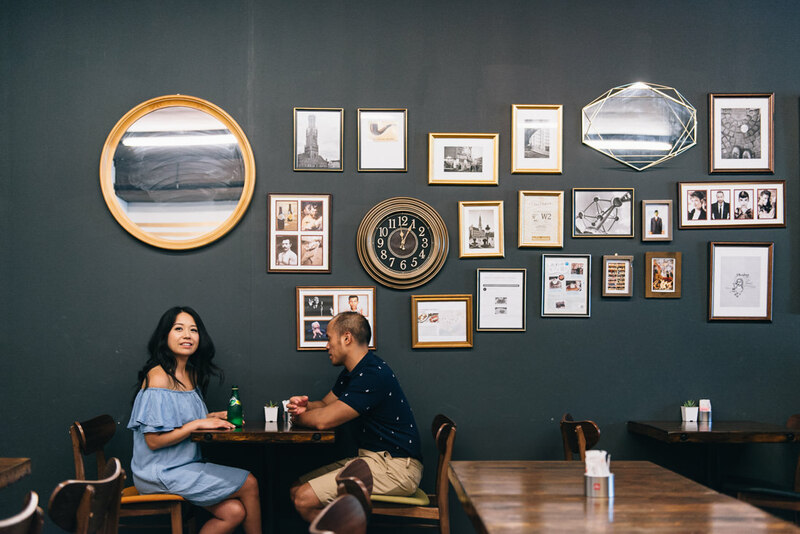 All of that is still there, but a lot of new trendy shops, restaurants and cafes have popped up, so it was the perfect area for us to spend an afternoon wandering with Cecile and Ian. 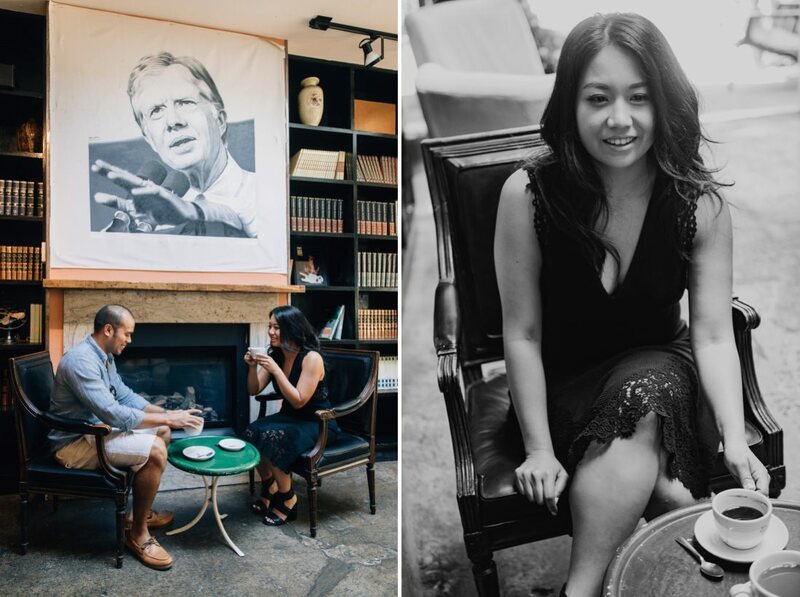 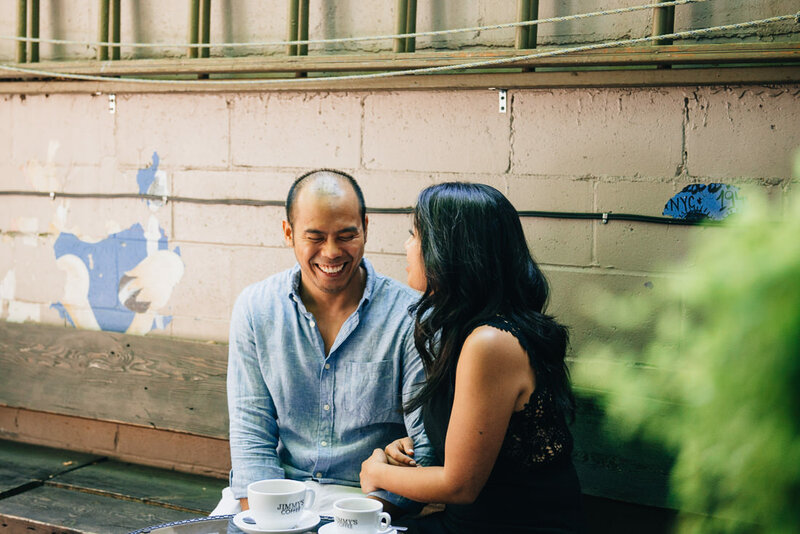 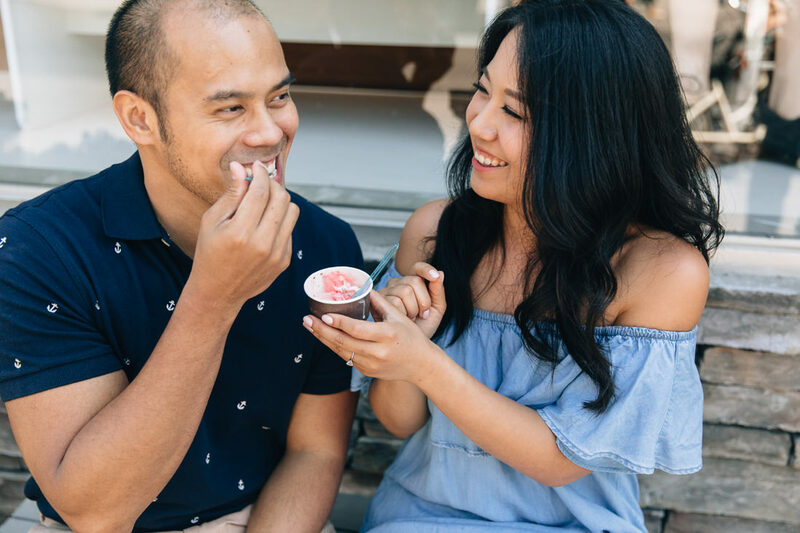 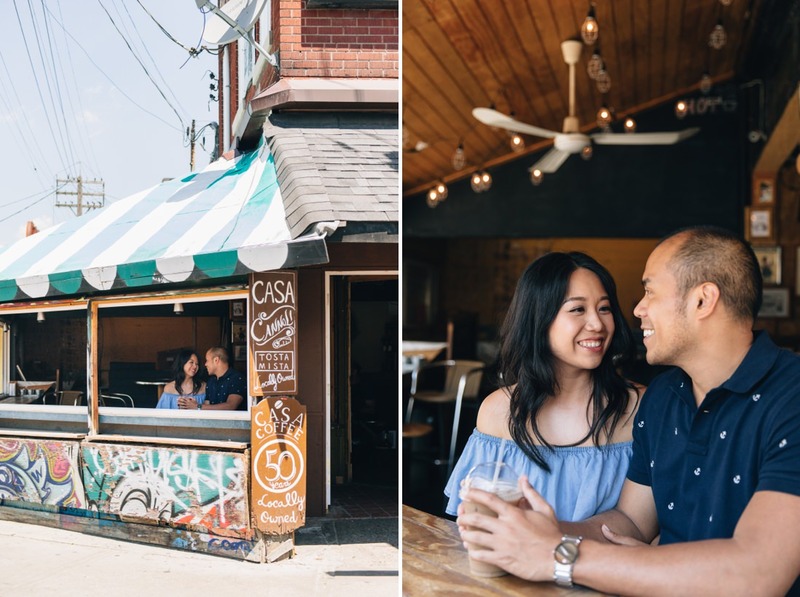 For their Kensington Market engagement shoot, all Cecile and Ian really wanted to do was to eat their way from place to place, and that’s exactly what we did! 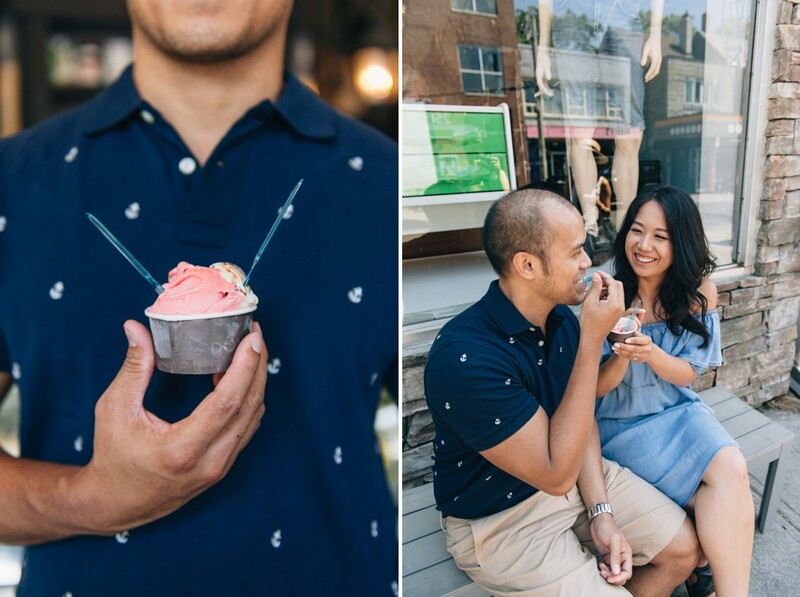 It was an indulgent day–waffles, churros, gelato and paletas were all consumed within the span of 2 hours! 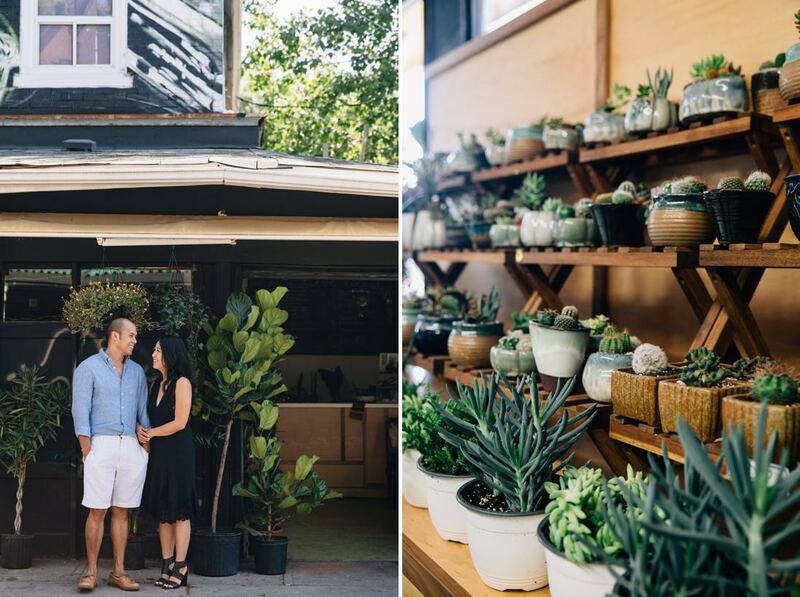 Big thanks to all the kind shop owners for letting us pop in for a few photos, and to Mackenzie for being our on-location make-up and hair assistant! 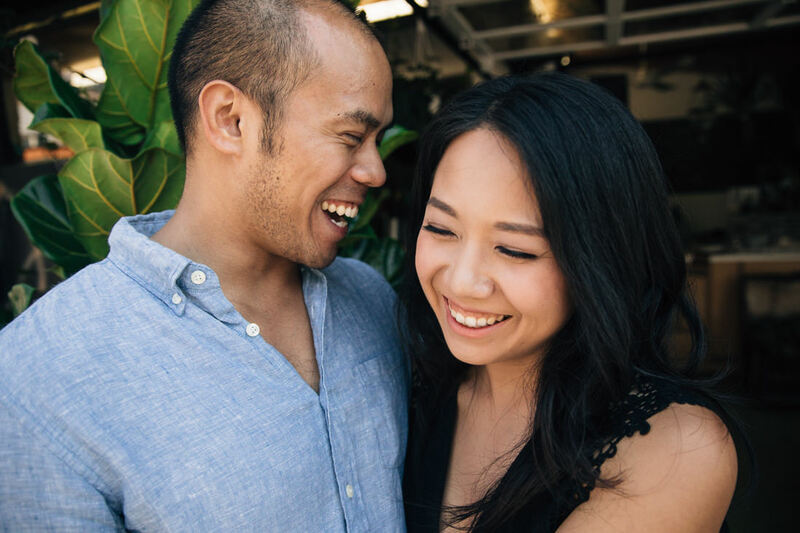 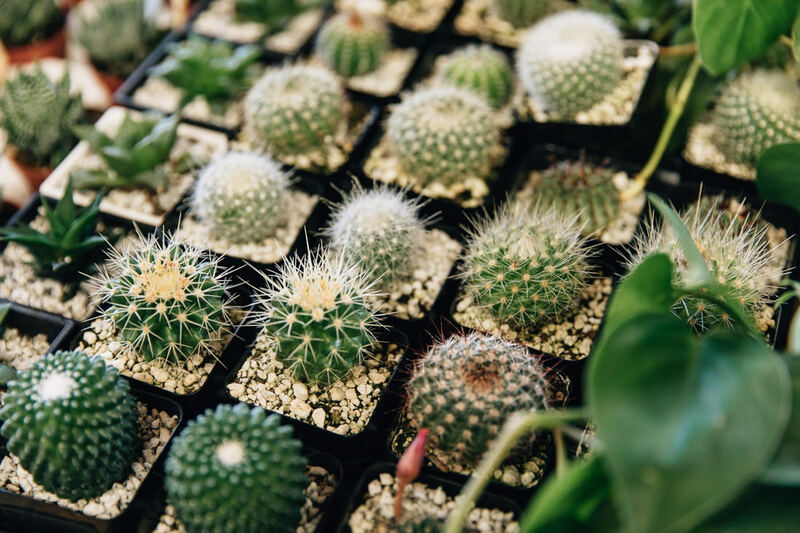 It’s pretty rare for us to know the majority of the guests at a wedding we’re shooting, so it’s sure to be a blast at their Le Select Bistro wedding this weekend! 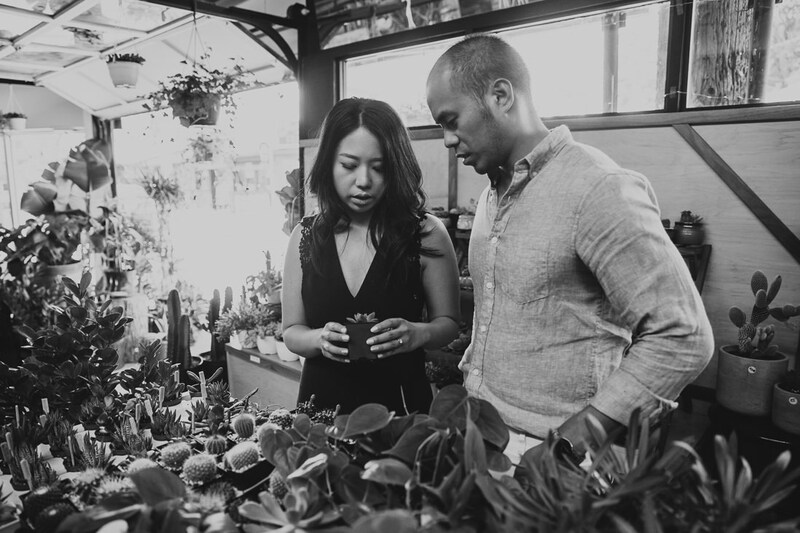 Watch our Instagram stories (@eightyfifthstreet) for sneak peeks of their big day!